Since 2015, ‘pioneer’ schools across Wales have been contributing to the development of a new national curriculum based on Professor Graham Donaldson’s (2015) report, Successful Futures. As part of a Welsh government-funded research project being conducted through the Wales Institute of Social and Economic Research, Data and Methods (WISERD),* over 30 teachers involved in this ‘pioneer’ work have been interviewed. One overriding question we sought to explore is that of how schools perceive the potential benefits and possible problems for different groups of learners, especially those from more disadvantaged backgrounds. Our initial findings suggest a number of issues need careful consideration during the further stages of development if the ‘radical’ new curriculum is going to improve education for all pupils. When asked about their development of the new curriculum, teachers refer to utilising the mastery approach, the Singapore method, developing pupils’ creative habits of mind and the Leonardo effect. These teaching methods and strategies, along with others like them, are seen as consistent with the new curriculum framework. It is as if there has been an alignment between the curriculum and what innovative teachers have wanted to do. This sounds like progress, but it is worth noting that lead teachers in pioneer schools have been engaged in an intensive experience of professional development, reading research and participating in collegial discussion. Without such additional time and support it is hard to envisage how teachers in 2022 will be able to coherently and effectively incorporate these sorts of initiatives into their teaching. This is a worry that those interviewed described. However, the radical nature of the new curriculum does not rest solely in the freedom it provides schools to test and trial new initiatives. It is a curriculum consciously focussed on promoting a more interdisciplinary and experiential education. The contents of the new curriculum are structured around six areas of learning and experience (AoLEs). Although ‘maths and numeracy’ retains a conventional structure, other AoLEs draw together a more diverse range of subjects: for example, ‘humanities’ includes history, geography, business studies, religious studies and social studies. How pupils encounter new knowledge will be very different from what previous generations have experienced. Many teachers working in pioneer schools interviewed during the research described this change positively. They see it as an opportunity to make the curriculum more relevant to pupils, and they value the increased parity neglected subjects like the arts hope to gain. What is less easy to discern is how effectively this approach will help prepare pupils to progress to post-16 study, where discrete subject knowledge becomes increasingly important. Teachers also see the changes as shifting the focus from what is perceived as the narrow ‘tick box’ delivery of content of the current curriculum to something more free and exploratory. These are seen as providing a more ‘engaging’ and ‘relevant’ education to pupils, who reportedly enjoy the activities. However, when asked about their fears, teachers worry that funding to resource these kinds of educational opportunities will not continue after 2022. Finally, the majority of those interviewed felt children from disadvantaged backgrounds would benefit under the flexibility of the new curriculum and the potential for more ‘appropriate’ content. On further prompting, few could provide examples as to how this would happen. What was also unclear, but which constituted a haunting presence for teachers working in deprived areas, was whether a new curriculum is the best answer to how best to support pupils from poorer backgrounds. In short, Donaldson’s report initiated an exciting and dynamic new phase in the history of Welsh education. Those leading the pioneer work on the curriculum in schools have high expectations for its success. Yet our research reveals tensions and unaddressed issues that require further exploration. Failure to do so may leave children with something far less beneficial than their teachers hope for. WISERD is an interdisciplinary social science research centre based at Cardiff University. ‘Involved with the Successful Futures for All’ research is being conducted by academics from Aberystwyth University, Bangor University, Cardiff University, Cardiff Metropolitan University, University of South Wales, and the University of Wales Trinity Saint David. 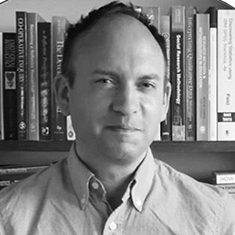 Dr Nigel Newton is a research associate at WISERD, Cardiff University. He is currently working on a Welsh government-funded project exploring the potential impact of curriculum reform in Wales on children from disadvantaged backgrounds. He is interested in the place of knowledge in education and the ways in which students encounter and engage with it. His previous involvement with research includes work on graduate employees, student course choice, formative assessment and school culture.